There is a large portion of homeowners who are trying to be more conscientious in terms of eliminating toxic chemicals in their home. Whether it be the paint they choose in their walls, or any other material in their house, homeowners are moving towards healthier, safer homes. Another aspect that people tend to forget about when it comes to avoiding toxic chemicals in their home is how they clean their home. Their are cleaning solutions out their that contain harmful chemicals, especially those for your carpet. To help you avoid these, here are 4 non-toxic carpet cleaning tips to keep your home safe. Unfortunately, it can be easy for companies to ‘green wash’ their carpet cleaning products, which means that they claim that their product is non-toxic and eco-friendly when in reality, it is not. A couple of trustworthy seal of approvals are the Carpet and Rug Institute and the Green Good Housekeeping Seal. If you see a commercial carpet cleaning product with their insignias, odds are you can trust them to keep your home toxic free and clean. Check out this list of 10 eco-friendly carpet cleaners to use! If you have a food or drink stain on your carpet, there are tons of DIY home remedies that can get rid of that spot and keep your carpet free of toxins. Vinegar, baking soda, and distilled water can all be used to get rid of pesky stains. You can give your carpet a thorough wash by sprinkling baking soda mixed with 30 drops of an essential oil, then vacuuming it up after a few minutes. Steam cleaning with a vinegar-water solution can also be extremely effective for deodorizing while getting rid of stains as well. Non-toxic, full carpet liquid cleaning solutions should be kept water-based with baking soda for a gentle cleaning. 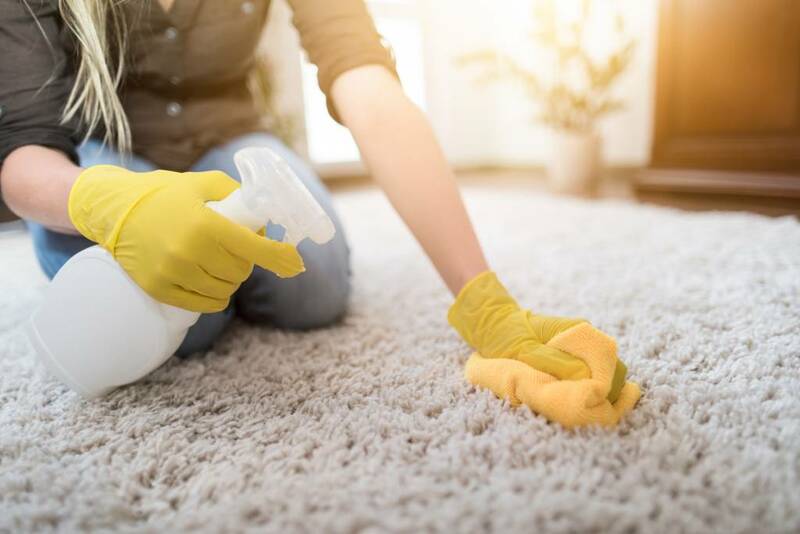 Before going out and purchasing the first toxic-free cleaning solutions you find, do some research and make sure that it has positive reviews and that it will do the trick for your type of carpet. Also, when it comes to cleaning supplies, you tend to get what you pay for. So, don’t be afraid to spend a little extra when it comes to making sure that your carpet is fresh and healthy. Tough Stains That You Can’t Get Rid of? Can’t Seem to Clean Your Carpet Well Enough? Call ServiceMaster! 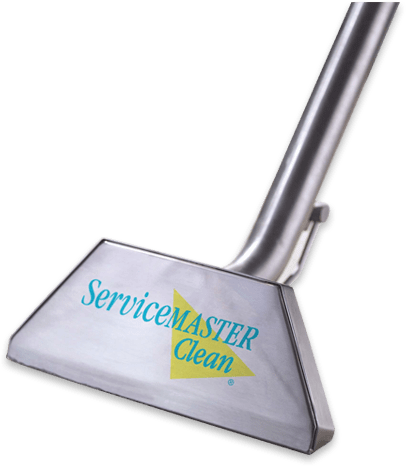 ServiceMaster experts take a detail-oriented approach when it comes to cleaning the carpets in your home. First, they’ll determine the best method of cleaning based on your carpet, after which they pre-treat any stains or problem areas. Cleaning solution will then be applied to the carpet which will loosen deeply embedded dirt and grime, making it easier to remove. With hot water, the cleaning solution is then rinsed and post-treatment begins. If you’re in a battle with a carpet that needs cleaning but can’t figure out how to win it, call ServiceMaster today and we’ll get your carpet looking new in no time! We can also assist in cleaning windows, air ducts, tiles, upholstery, and more.